Black and Decker tools have been helping DIYers care for their homes and yards for generations. This trusted brand offers a wide variety of string trimmers to keep brush under control and trim along driveways, sidewalks and around foundations. In our Black and Decker Weed Eater Review, we'll be looking at cordless, as well as electric string trimmer varieties. Before getting into the best Black and Decker string trimmers, let's talk about safety for a bit. ​Wielding a string trimmer﻿﻿ can put ﻿﻿you and your belongings at risk. Anything that the string picks up or cuts off may be flung at you. Be certain to wear long pants and sturdy shoes to protect your skin from debris. In addition, eye protection is critical. 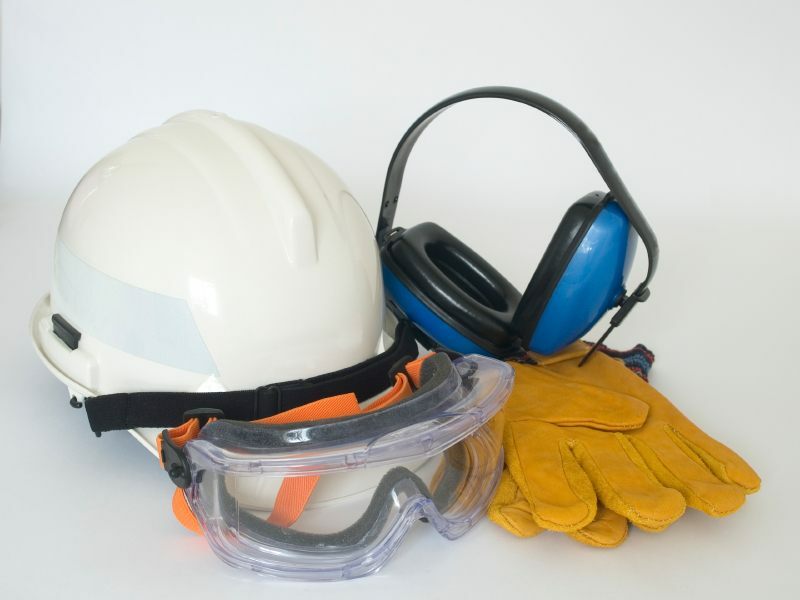 Manufacturers often recommend ear protection; be sure to monitor the manuals and user instructions shipped with your string trimmer to make sure you're protecting yourself against hearing loss. Chatter is another factor to protect against when using a string trimmer. This is the vibration that travels from the working parts of the tool into your hands, wrists and arms. If you're trimming a small yard that takes very little time, you may not be bothered by chatter. However, if your yard is large or if the trimming project is extensive, you may expose the nerves in your hands to excessive vibration. This can lead to numbness and pain and may result in permanent damage. Chatter resistant gloves will protect your skin from any debris that might bounce back at you and reduce the risk of nerve damage over time. To protect your home and vehicles, be certain to check along the edges of drives and sidewalks for pebbles and debris. If you're trimming along the front of a flower bed covered in mulch, work slowly to avoid flinging wood chips against the windows of your house or car. Avoid trimming against vinyl siding as you may scar or tear up your siding with the force of the spinning string trimmer head. Many of the Black and Decker string trimmer options have telescoping handles, so both short and tall users should find a good handle length to make their work easier. However, this brand offers cordless and electric trimmers weighing from four to well over ten pounds each. This weight, coupled with strong vibrations over a long period of time, can be very wearing. If your yard is large enough to warrant multiple charging sessions of the cordless battery, make sure you invest in a tool that can be comfortably handled by everyone who will be working in your yard. All of the Black and Decker cordless string trimmer tools included in this review, as well as the electric trimmer, offer automatic line feeds, so you never need to bump to advance the string for more trimming range. In addition to automatic line feeds, many of these trimmers offer replacement heads already loaded with string. If winding your own trimming string is not an option, these replacement heads can save you a lot of time. If you choose to restring your own tool, be sure to first unplug or disconnect from all sources of power. Should the head spin when you have it apart, you may lose critical small parts or have to chase down and re-string your freshly restrung spool! Worst of all, you may be injured. Conquering this skill will save you money, and once you've got a couple of spools set by for quick reloading, it will save you time. Be sure to keep the line feeds of any string trimmer clean and free of clogging debris, and do this after your trimming session. Unplug the tool or remove the battery first! Rotating many of the products reviewed in this article will turn your grass trimmer into an edger. This feature is achieved by setting the weed wacker on edge and gliding along on small wheels for a smooth, even trim along driveways and sidewalks. As possible, keep an eye out for small stones and other debris in this step; the next time you trim, this debris could hurt you or damage a window in your house or car. Monitor the condition of these wheels at the end of your trimming session and clear away wet grass and anything else that may gum up the works. Each homeowner needs to decide whether to work with a cord or without. One of the challenges of going cordless is that batteries can die and may sometimes fail, leaving you with a tool that's completely unusable until you purchase a replacement battery. If you decide to go electric, you'll need to keep track of an extension cord and avoid tripping or damaging the cord as you work. If your yard is very uneven, be aware of where the extension cord lies so you don't get tripped up as you work. The electric trimmers available from Black and Decker are a great option for many folks. Careful study of Black and Decker GH900 reviews indicate that this tool is a favorite of folks with a limited lifting ability. It offers a lot of power and you don't have to worry about killing the battery. If your yard is small, you can get a lot of use out of Black and Decker electric trimmers. Ths may well be the best grass trimmer for anyone with limited strength as the electric trimmers are extremely lightweight and offer plenty of power. The best electric string trimmer won't have the reach or flexibility of a battery string trimmer, but if you've got an orderly yard and enough extension cord, any of the electric weed wackers offered by Black and Decker should prove excellent for your needs. 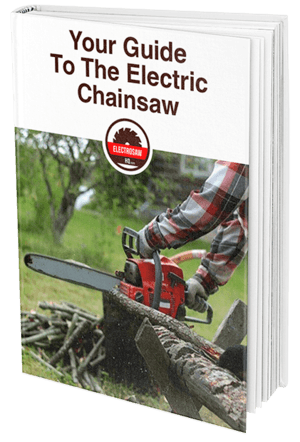 If you need to branch out into cordless tools, the Black and Decker LST300 is a great option if your yard is a bit too big for an electric, or a bit too rough to make moving an extension cord a simple task. This petite trimmer offers plenty of battery life in a very small package. This set of Black and Decker trimmer reviews focuses primarily on cordless trimmers. 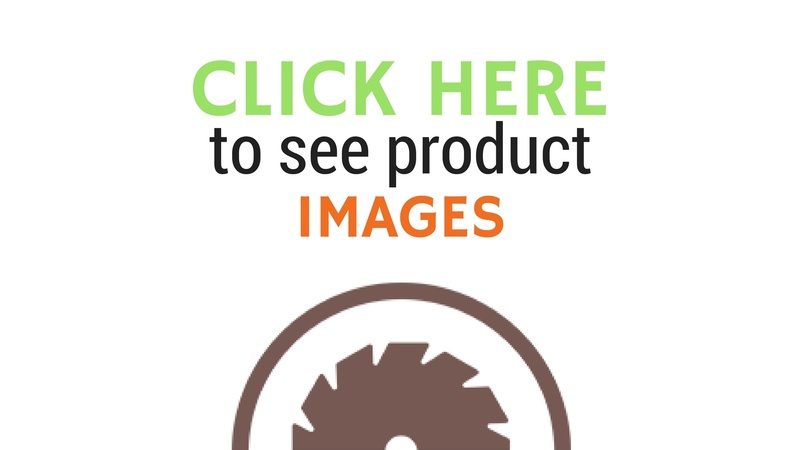 The cordless string trimmer reviews listed below offer potential buyers the chance to compare features, review their yard cleanup needs, and make the best choice for their landscaping projects. Black and Decker LST201 20V MAX Lithium-Ion String Trimmer/Edger, 10"
The LST201 offers a 10" sweep and is a great tool for weeds, but you may run low on power if your cleanup needs are especially challenging. This five pound trimmer is a great tool for both grass and heavier weeding, but only comes with one battery. If you have a really messy spot that needs attention, a second battery may be a good investment. Black and Decker LST 136W 40V MAX Lithium Ion String Trimmer, 13"
The LST136W is a powerhouse of a trimmer. It has an adjustable power setting so you can ramp up where the weeds are heavy or especially tall. The handle is easily adjustable and locks back in place for safety and convenience. While the LST136W features a 40v battery, there is a Black and Decker LST136 with a 36v battery. Luckily, you can use the batteries for these tools interchangeably! If all you need to do is edge, switch to low power and enjoy a long battery life. This Black and Decker 20v trimmer review is dedicated to anyone who struggles to handle heavy tools. The LSTE525 is ideally suited for users with challenges including back pain or people who are easily fatigued. It offers a great edging tool, a 20v lithium-ion battery and a 10 inch cutting reach. You can clean up areas that the mower can't reach as well as tidy along the edges of your yard. The LCC300 is a 20v trimmer with cordless sweeper included. Once you finish trimming, you can blow off your sidewalks and driveway for a clean finished look. These tools are both 20v motors and can use the same battery. However, you may want to invest in another battery as this kit only comes with one. These two tools reach a combined weight of just over 11 pounds, so even those with limited lifting power can probably use this tool combination for a sharp looking yard! The LST140C is an excellent tool for anyone with a large yard or who has heavy weeds to clear away. This tool comes with a charger and a 40v battery. The battery display lets you know how much power you have left as you work so you can pace or charge an additional battery as needed. Black and Decker GH3000 High Performance 7.5-Amp Electric String Trimmer, 14"
The only electric string trimmer in this review is an excellent choice for small yards. This tool weighs in at just under 7 pounds and offers plenty of flexibility to users. The handle features a high arch above the head, giving you great cutting power with plenty of clearance to protect the flowers you want to keep! The LST560C is a high powered tool with plenty of cutting power at 60v and an auxiliary handle for hard to reach spots. This trimmer comes with a 1.5 Ah 60v battery and will work with a 2.5 Ah, but you'll need to purchase it separately. The 2.5 Ah will not give you more power, but it will give you more run time. Two-speed power option for trimming vs heavy grass or weeds. Black and Decker LCC221 20V MAX Lithium String Trimmer/Edger Plus Sweeper Combo Kit, 10"
This combo kit includes both the trimmer and a blower to clear away grass clippings. You can edge and clear away with one battery! The trimmer offers a 10-inch sweep of automatically fed line, ideal for trimming grass along fence lines, and you can rotate the trimmer to roll along and edge sidewalks and driveways. The blower and trimmer are both quite lightweight and are quiet. Black and Decker LST420 20V MAX Lithium High Performance Trimmer and Edger, 12"
The Black and Decker LST420 is an ideal tool for someone with a large yard who needs plenty of power. You can run it at high or low power for basic trimming versus some serious weed wacking, and since it has two batteries, you can generally work until the project is done, not until the tool is done. This trimmer weighs just over 8 pounds and features an adjustable handle for users of nearly any height. Each of these trimmers may be an ideal choice for anyone's yard, but the winner of best cordless string trimmer has to be the combo package of the BLACK+DECKER LCC300 20V MAX Lithium Ion String Trimmer and Sweeper Combo Kit. 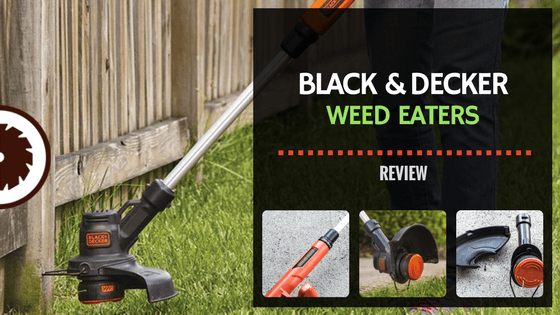 This best battery weed eater features a trimmer and blower combo that will make cleaning up your yard quick and you'll get a cleaner look when you're done. You will probably want to buy an additional battery and might enjoy having access to the 2.5Ah charger, which will get you back to work more quickly so you can finish up and enjoy your beautiful yard!